When you are driving, there is nothing more annoying than getting stuck behind someone who is just not paying attention. Whether it’s because they are texting, drinking a latte, or getting a massage (you’ll see), some people do not know how to put aside their daily routine for one second and pay attention to the road. It is those people at which YouTubers Rhett and Link are poking fun in this new viral video. And they do it all in their trademark geeky rap battle style. The video, “I’m a Textpert,” already has over 2.5 million views on YouTube, and features a rap battle between two guys who both claim to be the masters of texting and driving. Behind all of the fun rhymes and ridiculous props however, there is a serious message. 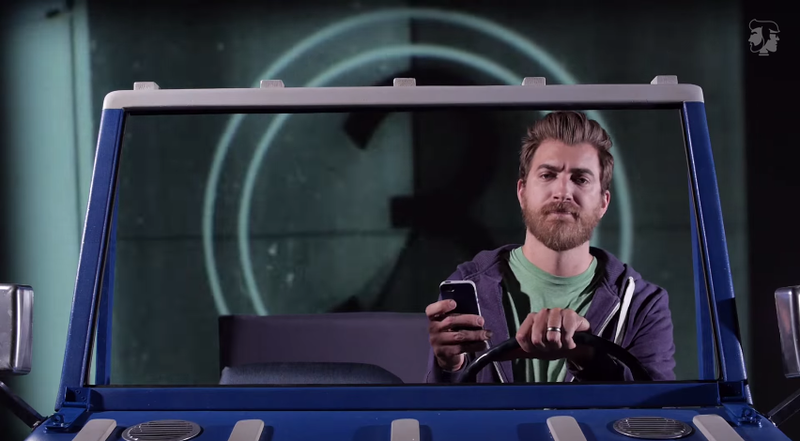 Rhett and Link make it perfectly clear at the end of the video just what happens to those who choose to text and drive, followed by the tagline, “if you’re texting, you’re not driving.” It’s a fun video, with a serious message. Take a look, and next time remember to finish your text conversations before you get behind the wheel.